No one plans to get in a car crash, but sometimes life surprises you, leaving you with new injuries and pain. The good news is, you can decide how you deal with the situation: a few appointments with your Nashville, TN chiropractor, Dr. Sweeney, can help you resolve the symptoms. Despite the fact that many of injuries can develop as a result of a car crash, some of the most typical include whiplash (which can produce neck pain and headaches); bulging discs (leading to back pain, sciatica, or neck pain); and misalignment of your spine. All have the potential to severely limit your ability to complete everyday activities free of pain and discomfort. 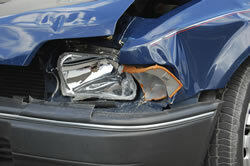 Dr. Sweeney is skilled in the diagnosis and treatment of auto injuries. After a very careful analysis of your pain and individual history, Dr. Sweeney will develop the best remedy for you individually. Treatment plans could consist of spinal adjustments, instrument-assisted adjustments, light soft tissue therapy, exercise rehabilitation, and a range of other natural remedies. Whereas some doctors are focused primarily on managing symptoms, Dr. Sweeney doesn't stop there. He works on locating – and addressing – the cause of the symptoms. Dr. Sweeney appreciates that the best relief is long-term, which is what he sets out to do for patients in the Nashville, TN area. What If You Were Not Hurt In the Car Crash? Even if you don’t feel as if you were hurt in the car accident, a visit to your chiropractor is suggested. Some injuries cannot be felt right away, allowing them to progress until sooner or later they are much harder to treat. Don’t allow that happen to you. Call our office in Nashville, TN. 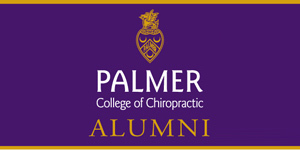 Dr. Sweeney will check that all is aligned so that you feel your best today, and into the future!